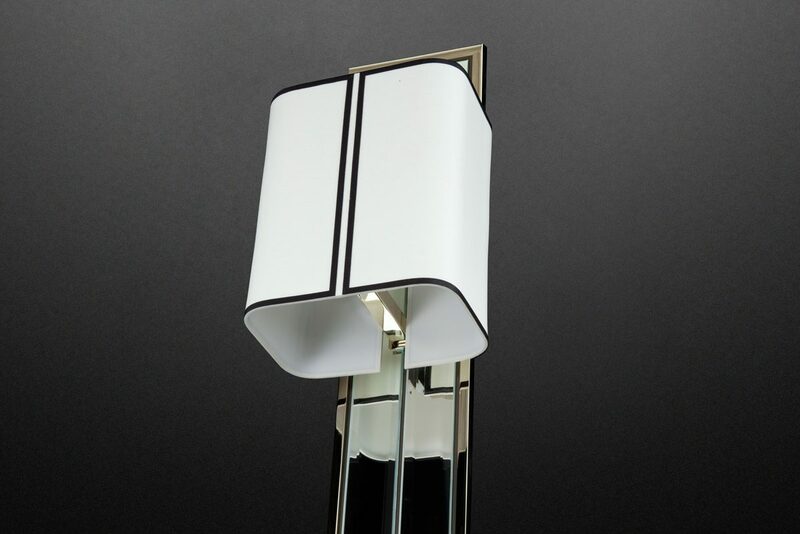 A mirror-and-metal wall sconce. Firm black trim brings out a cool interior. An unabashed trendsetter, this lamp wears white – even after Labour Day. This version shows that a sconce can be even more attractive lying down.